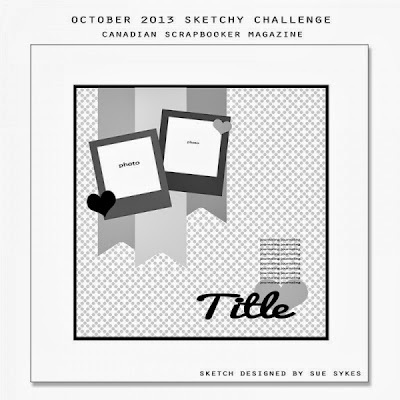 Quick blog post to share my completed layout for Canadian Scrapbooker Magazine's October Sketchy Challenge! I liked this sketch from the first time I saw it and stayed pretty true to Sue Syke's design! ALL products used were from Stampin Up, the only exception would be the staples that attach one of the tags! 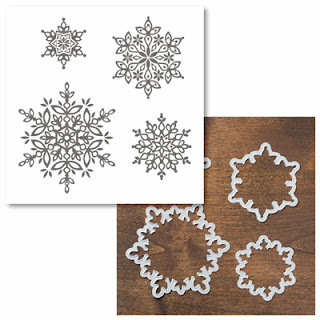 The snowflake stamps with matching dies are truly a favourite! I can see using them time and time again! We'd love for you to join in on the fun! Who knows...you might even get published in a future edition of the magazine! 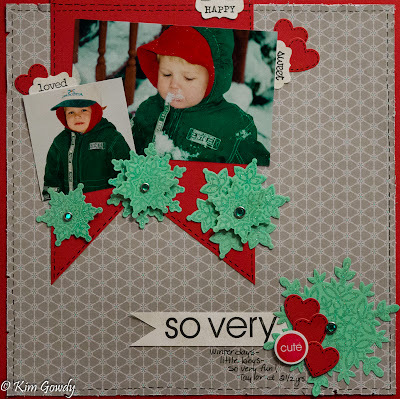 Really sweet pics...and those snowflakes are gorgeous! How did he grow so big? Great page, Kim. This is super cute!! Loving the embellies and colours - great design! !